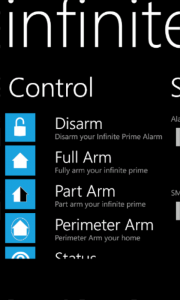 With over 350 downloads, Infinite Prime Control for Windows Phone 7 and 8 constructs the correctly formatted text messages in order to control the infinite prime burglar alarm control panel. 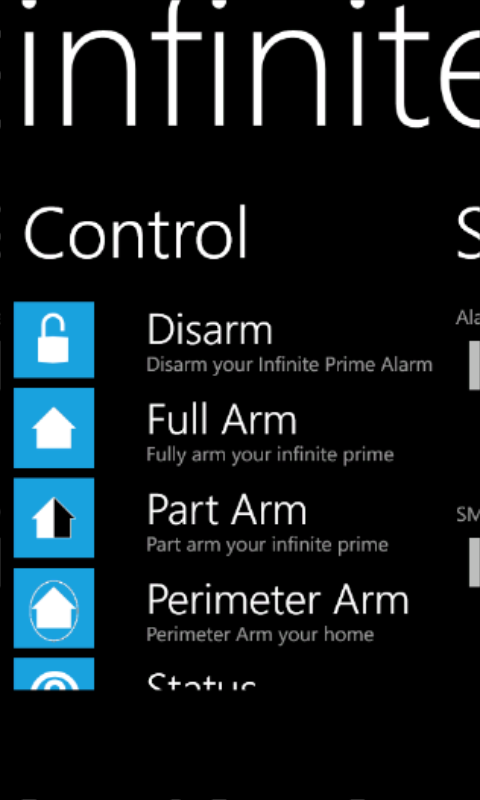 is an excellent wireless alarm system that when paired with the GSM module, allows control via SMS messaging. Due to security restrictions in WP7/8, it is not possible to transmit or receive/process text messages in the background, so it constructs the relevant format text message and then presents this to the user to send.